Tool's DJ Neff developed an AR app to transform the mural he painted on the agency's warehouse in Santa Monica. 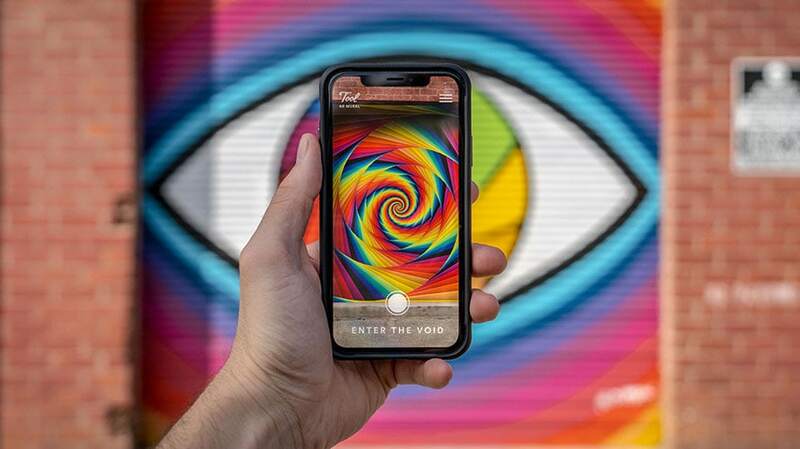 The project, called “Sight Beyond Sight,” in which Neff painted a mural of a colorful eye on the outside of the warehouse in Santa Monica then developed a multifilter augmented reality app called Tool AR Mural to bring it to life, aims to showcase how the tech and art worlds can collide and what “the future of art in public spaces can look like,” according to Tool. By simply downloading the app, passersby can visit the space and see the mural transform through three filters: Artist Time Lapse, Space Balls and Enter the Void. Artist Time Lapse lets spectators see Neff at work painting the mural. The Space Balls filter features 3D balls popping out of the mural. And Enter the Void lets observers explore new depths of the mural.